The old railroad line passes through the towns of Concord, Hopkinton, Warner, Bradford and Newbury. Developing the trail along this corridor will connect the towns to each other and make intra-town travel safer and easier for bikers and pedestrians. A great deal of this former railroad corridor is now privately owned. Please, always respect the private property rights of landowners. 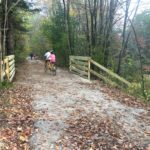 Friends of the Concord-Lake Sunapee Rail Trail works with landowners, towns, state and federal authorities to gain permission to build the trail over their properties. We typically do not announce projects until we have landowner permissions secured. You help our mission by respecting the wishes of landowners. Use the menus to see a listing of announced trail projects. The rail era is a significant part of the local history, and many historical assets can still be seen along the trail. The Pierce Manse in Concord serves as one terminus of the trail. Original railroad buildings still stand at Contoocook Station, Waterloo and several stops along the way. Mast Yard State Forest and Bradford Pines both provided masts for navy and commercial ships. The Newbury Cut still stands as a lasting tribute to the railroad engineers. A covered railroad bridge and three covered road bridges highlight the connection to our rivers. 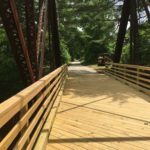 River Crossings – This trail crosses the Contoocook and Warner Rivers multiple times. These crossings are spectacular attractions. People on the trail would see exceptional stonework, have the chance to learn about the history of the rivers, see some excellent white water and flat water. Agricultural Connections – The trail goes past a number of working farms. The “Eat Local” food movement in New Hampshire is booming. The trail would provide a way for local consumers to reach their natural food suppliers in a “green” way. It would also highlight NH farms to all those on the trail. In Concord portions of the trail are on land managed by the Concord Conservation Commission. See maps 1 and 3 on the Concord Trail System Guidebook and Maps for descriptions of trails along the old Concord to Claremont Railroad line. Enthusiasts may want to look more closely at land and easements owned by the City of Concord through their online GIS viewer. 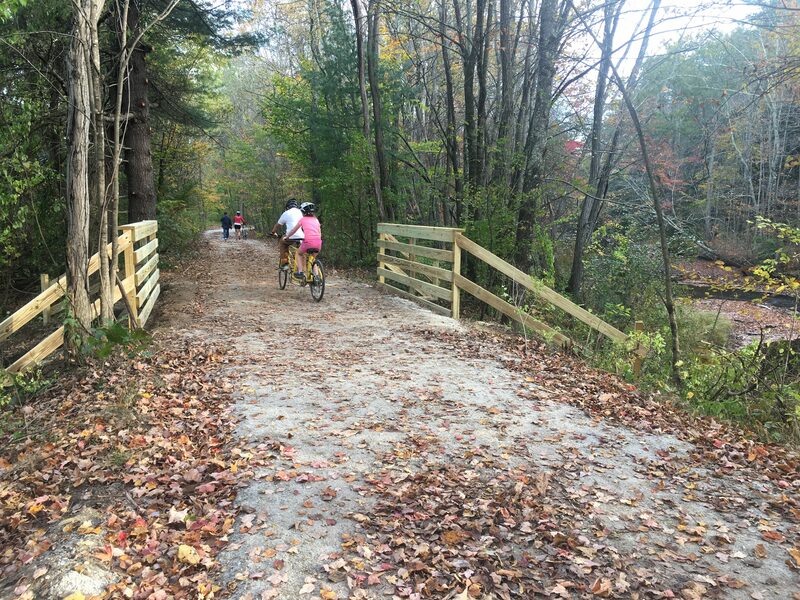 In Hopkinton a portions of the trail are on the Stevens Rail Trail, the Rollins Property, and Mast Yard State Forest. All are managed by a joint project of the Hopkinton Conservation Commission and the Hopkinton Open Space Committee. 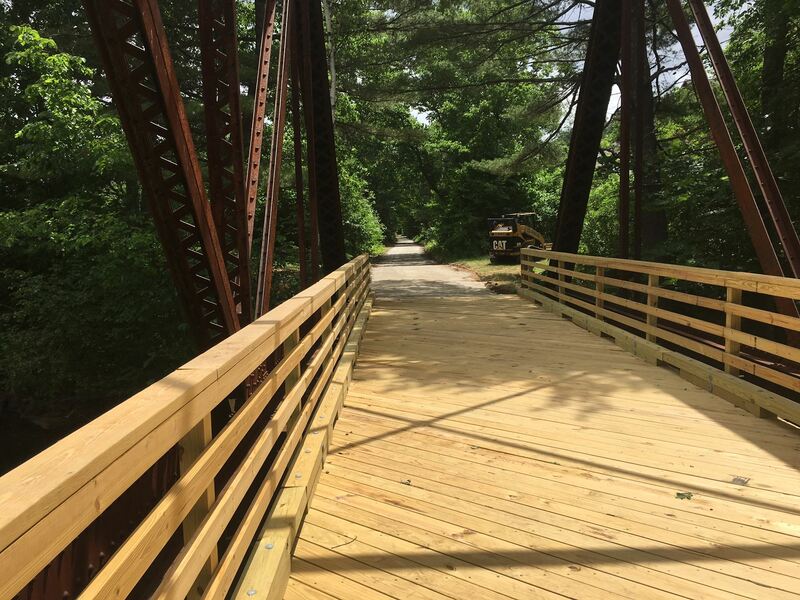 In Warner the Concord-Lake Sunapee Rail Trail works closely with the Warner Conservation Commission as much of the trail is close to the Warner River. Warner Parks & Recreation has also provided significant help with trail construction and maintenance. 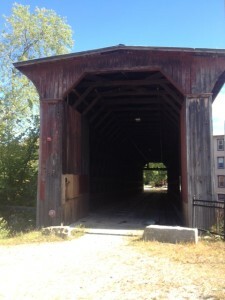 In Bradford the Rural Heritage Connection of Bradford is working with the Lake Sunapee Snowmobile Club to make extensions to the Tilly Wheeler Trail. Train history fans: If your tastes run more towards train history of the Concord Claremont line please check out Conrad Ekstrom’s Facebook page for a great collection of photos and the Boston & Maine Railroad Historical Society as well as the local historical societies along the route. Warner Historical Society.